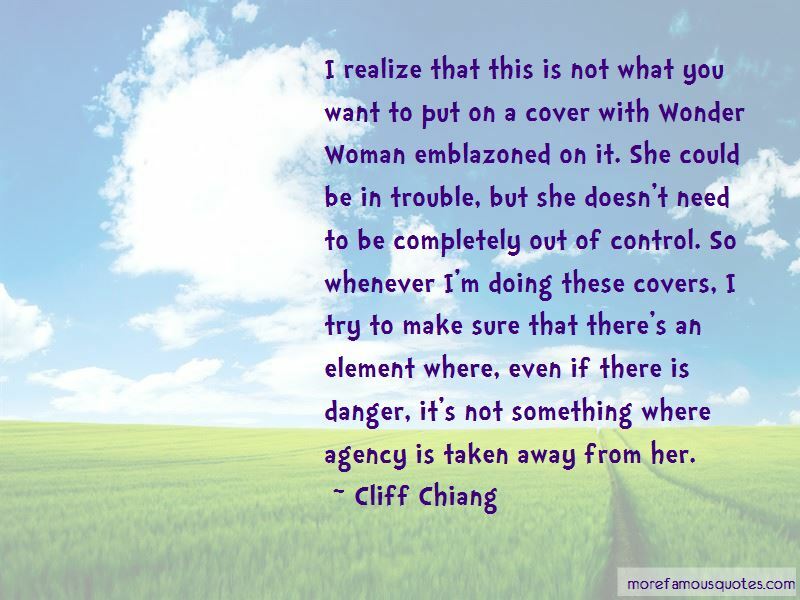 Enjoy the top 5 famous quotes, sayings and quotations by Cliff Chiang. 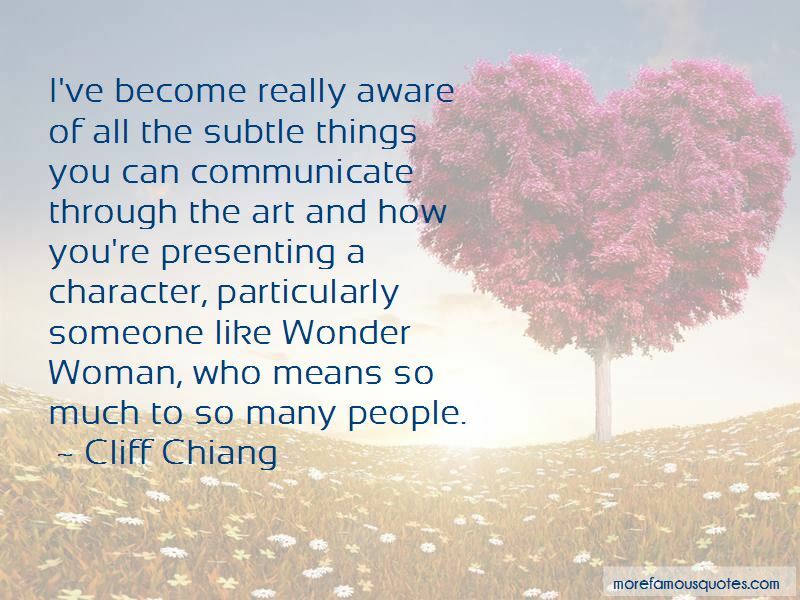 I've become really aware of all the subtle things you can communicate through the art and how you're presenting a character, particularly someone like Wonder Woman, who means so much to so many people. When coming up with Wonder Woman cover designs, sometimes people will pitch ideas to me, either the writer or the editor. And it's interesting, because I know they're not trying to, but they end up pitching things that end up feeling like damsel-in-distress covers, where the tension comes from her needing to be rescued somehow. And it's something I immediately push back against. 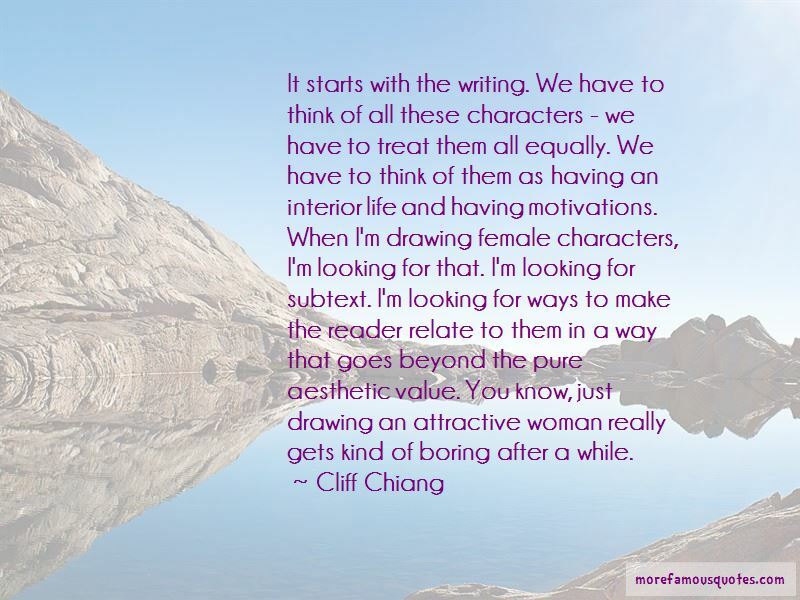 Want to see more pictures of Cliff Chiang quotes? 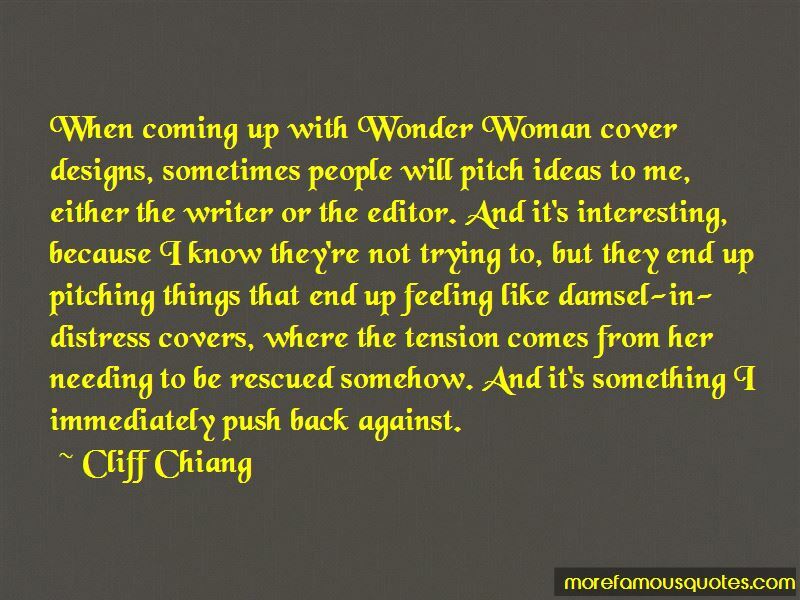 Click on image of Cliff Chiang quotes to view full size.